Seven Report has reviewed hardware from many different brands. And some of those brands and their distributors have supplied multiple devices. To make it easier for you to find a review or First Look of a product by a specific manufacturer we’ve provided links to all hardware, mods, tanks and all-in-one devices, by brand on this page. Based in China, Eleaf is known for their popular family of iStick mods. They also make a wide range of tanks and batteries. Innokin is known for its wide range of mods and tanks. They are based in China. 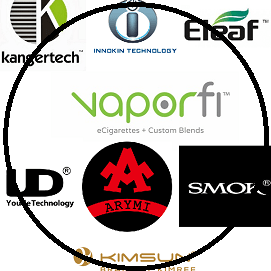 Kangertech is one of the best known vape product manufacturers. Based in China, they make a wide range of tanks, coils, mods and all-in-one devices. Smok is based in China and known for a wide range of vape gear, including mods, tanks and coils. Youde Technology, or UD for Unification of Design, is best known for its RDA models. They also make mods, tanks, coils and accessories. UD is based in China. 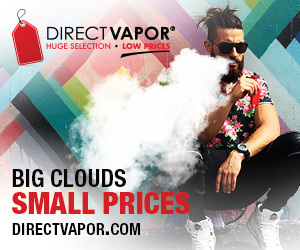 VaporFi is based in the USA and is known for their high end vape gear, including tanks and mods. They offer an industry leading 30-day guarantee and a 90-day warranty. We’ve reviewed single products from a number of manufacturers, including Asmodus, Aspire, Dura True, WOTOFO and Yocan.